Salt and Passage 7″ preorder launched today! Second Nature has launched the preorder for the new Coalesce 7″ “Salt and Passage”. There have been a lot of emails about how to get the limited vinyl, and what color vinyl, and all that…well, this is the best way to get ahold of them, and you can choose which color, weight, and packaging you want. There is also a limited edition t-shirt that is bundled with the package. We will only be making the shirts for the people who order, then it will be discontinued. Click image to take you to the preorder now. UPDATE 8/6/07: THE PREORDER HAS SOLD OUT AFTER A FEW DAYS. WE WILL HAVE SOME COPIES OF THIS RECORD ON THE ROAD, BUT NOT A WHOLE LOT OF COPIES. 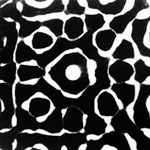 WE SUGGEST IF YOU LIVE ON THE WEST COAST, TO HAVE A FRIEND BUY YOU A COPY AND MAIL IT, OR WAIT FOR THE SECOND PRESSING. THANKS SO MUCH, WE ARE SUPRISED BY THE AMOUNT OF ENTHUSIASM THE PREORDER WAS MET WITH! 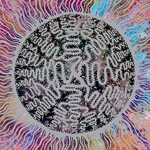 Zeplin repress art revealed, and date pushed back a tad. 7″, DVD box set, and Zeplin details. It’s been a while since an update, but only because we have been super busy lining up some things, and drastically changing some things. I recently got pneumonia, so my body has slowed down enough to go through all these updates and organize them for you guys. First up is the new 7″. Our plans ended up changing every day as to what made the most sense for this release. It is drastically different from what was originally reported, but the next paragraph tackles those things left out. First off, it is no longer going to be a book/retrospect project. It’s being treated as a new release all on it’s own merit, moving into the future as a band. Instead of being several things we’ve always wanted to do crammed into one package, it’s being split up so each project makes sense. So, the 7″ is a 7″. It will come in a screen printed gatefold package (printed on black heavyweight card stock), and heavy weight vinyl grades, along with several unique colors of vinyl. There will also be limited color combos of the printed cover. The release date for stores is September 11, 2007. It will not come on cd format, but will be released on itunes in october. So 7″ vinyl, and digital only release. Since we decided to go this route with the 7″ release, we were left over with this coalesce footage that’s I’ve had for years. We thought about editing it together for a “dvd release” on a label, or even thought about canibalizing it and adding some footage here and there on new represses or cds that have been out of print. What ultimately made sense based on the visual and audio quality of the fooage, was to archive every show, and make a box set that includes every show we have available in it’s entirety. This is what we did. This box set is going to be a self release and available only at live shows and on our online store. We have finished all of the footage gathering, the cleaning, the digitizing, etc, so it will to be released in late August/ early September. Seth at floatingboymedia.com has done a great job organizing all 15 or so shows into 4 discs, complete with a menu for each show, and chapter points for each song on each show. The title of this release is “No Business in this Business”. Some of you will see the footage we have and say “hey, I have a show that’s not on this”. We did not include any 2002 shows, but if you have any shows that are not on the box set, please send me a clean copy. I would love to capture all shows ever on this, but since it’s not possible, I have set it up to be in volumes. So this is volume 1, and if we get more footage to surface, then a volume 2 will happen. If not, then only one volume. 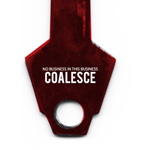 There have been some questions about Coalesce merch. Right now the store is where it’s going to be at for the next couple month. We have retired logo tees and ribcage merch from live shows, but are letting them find a home on the merch store. We have even been printing girls shirts for both. We have 2 new Aaron Turner designs coming to the coalesce/hydrahead shop in september, and a couple of other new designs we have been working on. If there is something any of you want to see in the store, as always, please let me know. But keep in mind some art doesn’t exist anymore, or some shirts I was threatened with a beating for doing (skull skates parody). The last item is the “There is nothing new under the sun +” cd/lp is still on course for an August release. I have seen a mock of the cover Aaron Turner did, and I’m more than stoked! Again, this reprint of the record contains the Zeplin disc, and all the scattered 7″ songs and covers we have done over the year. So that is the latest updates on all the things we have planned for August, save for one other big one. When that one gets settled we’ll post it asap. Thanks for checking in! 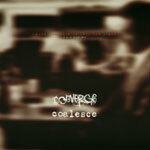 Hey, thanks to everyone who emailed in with the vinyl history for the Converge/Coalesce info. Especially Caroline and Tami! I got an email from Jake Bannon (Converge), Dan Askew (Second Nature), some guy at Very Distro, and a few others I thought would know the answer, but ultimately no one could remember. Even I didn’t know, and I used to have all that stuff memorized. I did get an email from John Dudeck at Edison, and he had an idea of what it was, but when the 2 girls emailed, it all came together. Thanks so much! As you can probably tell, I’ve been busy trying to get the data filled out for the “finally” Coalesce website. We changed the messageboard to look like the site, put in a history section, some free mp3s (like they aren’t all free on the interwebs today), and a Color Vinyl History page. This is where we need some serious help. There is one record that we can’t seem to find any info on. It’s the “Among the dead we pray for light” split 7″ with Converge. There is no info on this record anywhere on the web, and the guy who put it out is MIA. This is what I can remember about it. There were something like 10 colors of vinyl, and something like 100 of each color. Then it sold out in like a day, so they repressed it once, but threw in 100 on black vinyl. If anyone knows who used to run “life records”, or if anyone is friends with Converge, try to get me that info. Don’t bother trying Very Distro, they don’t seem to remember. But please, if anyone has detail color vinyl pressing on this (there are 2 pressings), please forward it to me or post it on the comments to this post.